Ryan Gosling: Late Night on 'Gangster Squad' Set!. 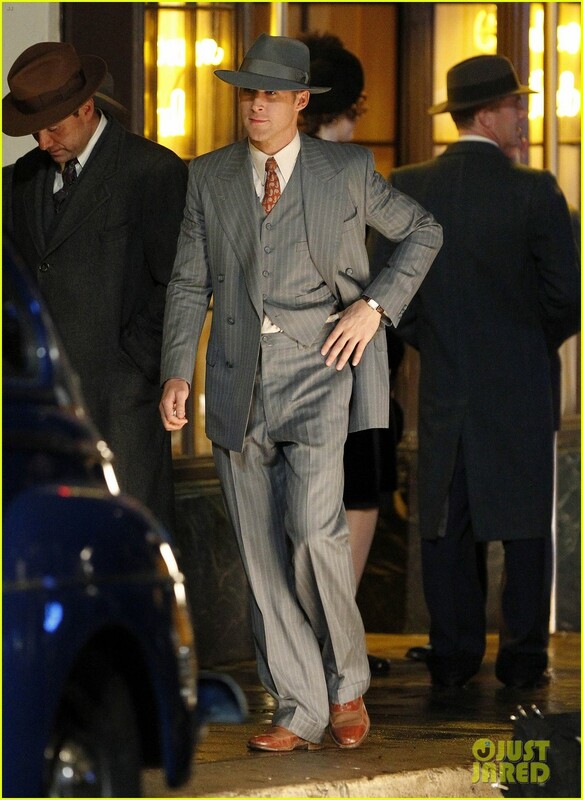 Ryan Gosling: Late Night on 'Gangster Squad' Set!. HD Wallpaper and background images in the Ryan Gosling club tagged: ryan gosling. This Ryan Gosling photo contains business suit, suit, suit of clothes, well dressed person, suit, pants suit, and pantsuit. There might also be street, city scene, urban setting, and double breasted suit. Ryan Gosling & Eva Mendes: Day Out in New York! Ryan Gosling & Rooney Mara: 'Lawless' Set Pics!